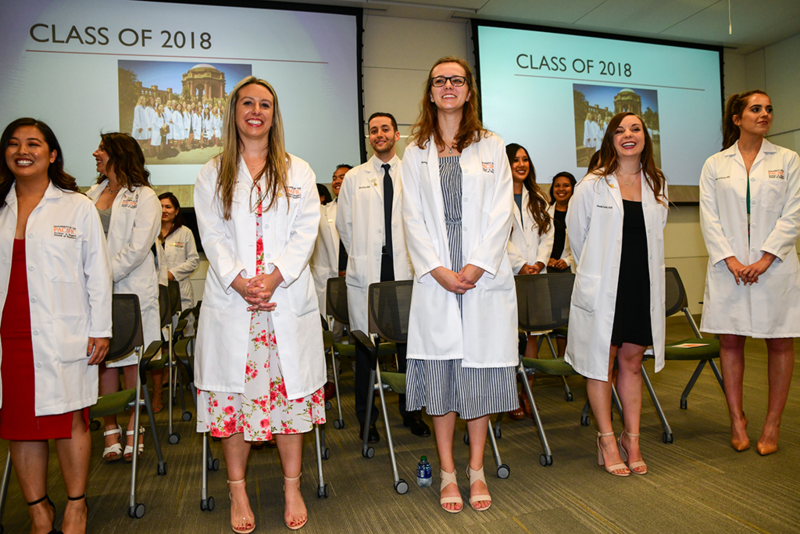 On June 17, 2018, 20 University of the Pacific dental hygiene students made history when they walked across the stage along with their graduating Arthur A. Dugoni School of Dentistry dental student peers to receive their diplomas. This year’s graduating hygiene class was the first to begin and end their training in San Francisco at the dental school’s campus in the South of Market area. 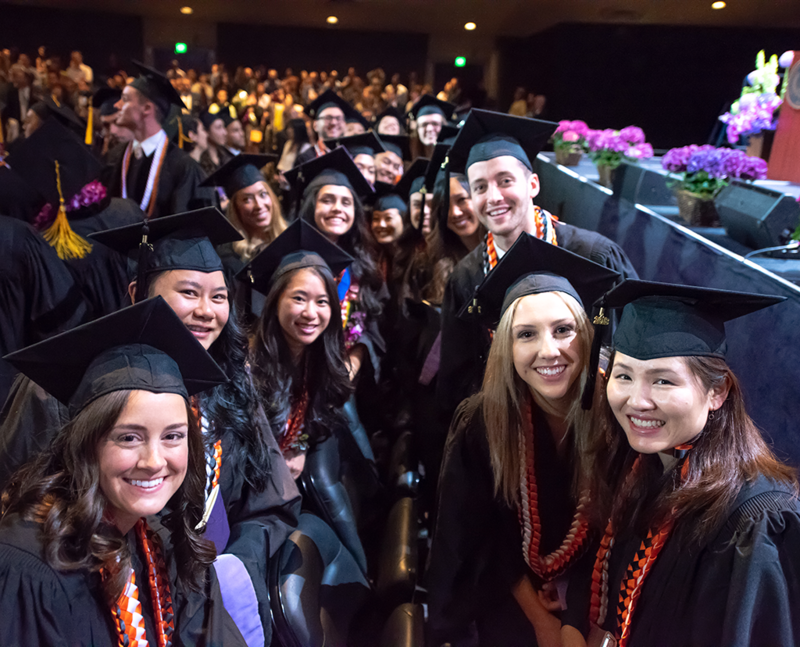 Since its inception in 2002, University of the Pacific’s baccalaureate Dental Hygiene program has always held its graduation ceremony in San Francisco, but their home program was located 90 miles away on the Stockton campus. The move to San Francisco was several years in the making, says Deborah Horlak, RDH, director of the Dental Hygiene program and associate professor in the Department of Periodontics. In addition, while the Stockton campus had a small dental clinic where hygiene students worked with Advanced Education in General Dentistry (AEGD) dental residents, the residency program moved a few years ago. “So, there was just a dental hygiene program alone with no dental support,” says Horlak. And the reverse was also true. 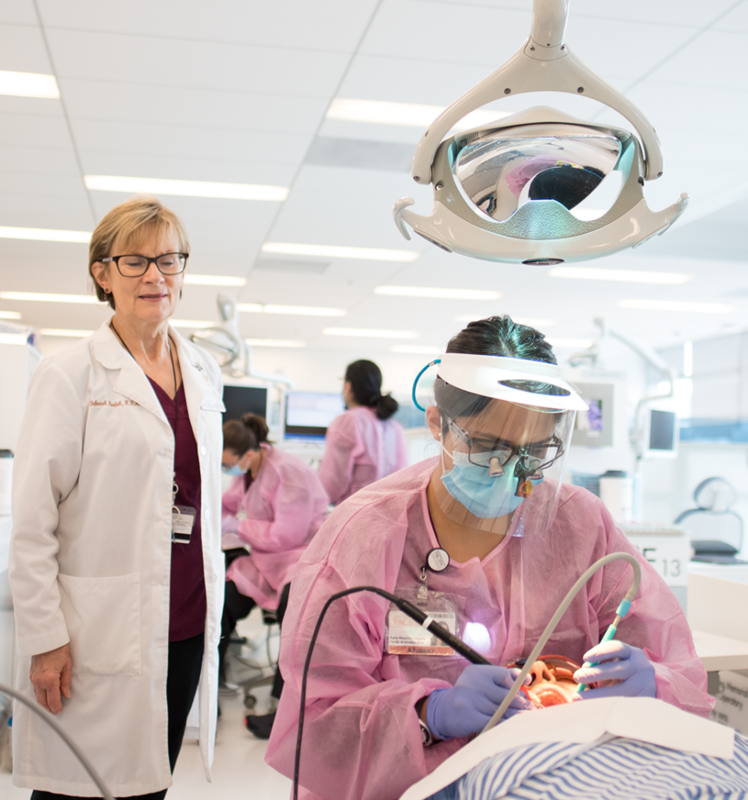 Back on the San Francisco campus, “Our dental students didn’t really have appreciable exposure to working with dental hygienists as team members,” says Dr. Cindy Lyon ’86, associate dean for oral health education, and the founding director of the Dental Hygiene program. “The hope was that in moving the dental hygiene students here, both would gain experience working with each other. 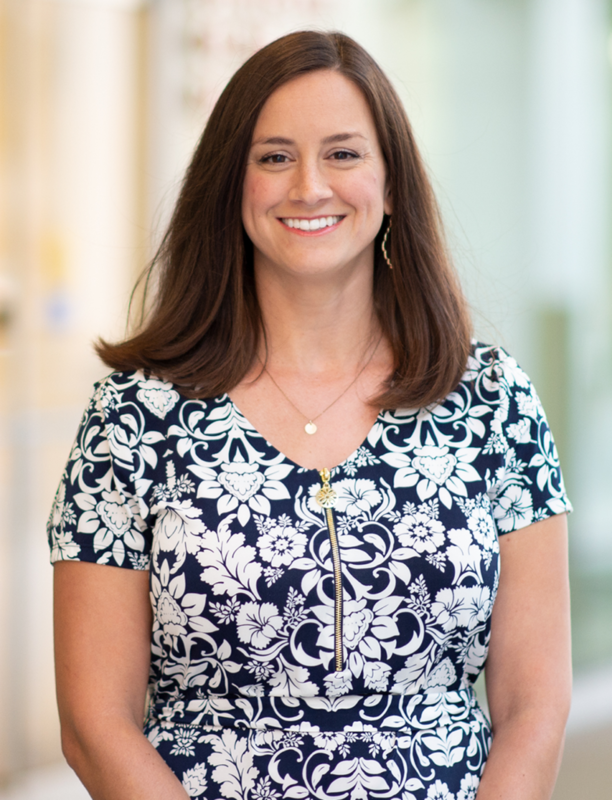 And integrating them into the larger student body offered some interesting opportunities for faculty development as well—and for the dental hygiene students to be a greater part of the dental school culture,” says Lyon. Originally, Pacific’s Dental Hygiene program was born out of a need for more hygienists in the Central Valley. Market supply was small, and alumni in Stockton and the Central Valley had advocated for a hygiene program there, explains Lyon. The Dental Hygiene program was the first 36-month program leading to a bachelor of science degree in dental hygiene in the United States. It prepares students for positions as clinicians, educators, researchers, public health and industry professionals. About 235 dental hygiene students have graduated from the program so far, according to Horlak. As with most new ventures, there were some growing pains when the program moved from Stockton to San Francisco. 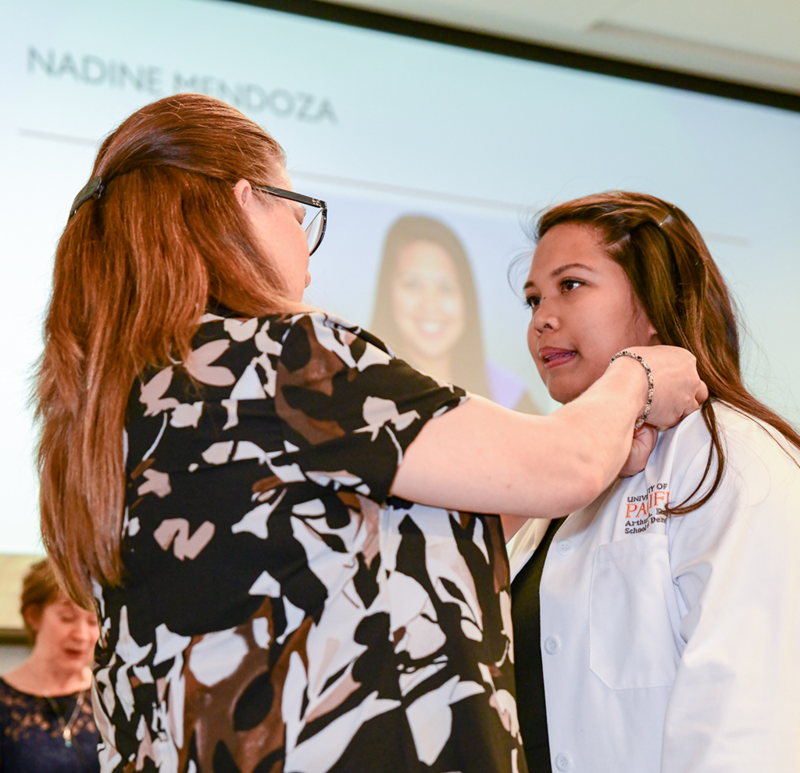 “I knew that since we were the first class, there would be a lot of changes and things we would have to work through,” says Nadine Mendoza, ’18 DH, who served as hygiene class president. Since the program is now based on the San Francisco campus, hygiene students are paired with second- and third-year dental students in group clinics with the goal of mirroring the relationship they might have in private practice—communicating about ideal patient care, diagnoses, treatment plans, ongoing re-care and the timing of dental and dental hygiene visits, explains Lyon. Another first was the opportunity to participate in the school’s Virtual Dental Home program, where hygiene students travel to remote facilities, such as schools, group homes or nursing homes, to provide oral health care. Students typically see one or two patients per session, conduct an exam, provide onsite care, such as prophylaxis, X-rays or sealants, and collect as much data as possible to send back to the dental students offsite who would review the patient’s chart and create a treatment plan, explains Mendoza. 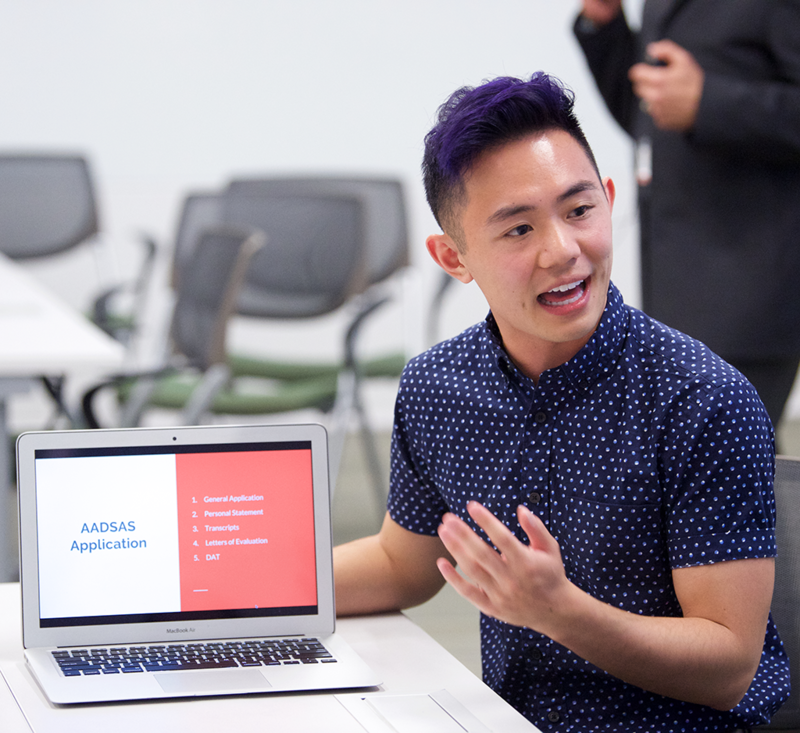 In addition to the goal of working more collaboratively with dental students, there were unexpected benefits of moving the program to San Francisco. As the alumni and California Dental Hygiene Association (CDHA) and American Dental Hygienist Association (ADHA) representative for her class, Yochim was so inspired by the passion and generosity of donors to the dental program that she helped create the first-of-its-kind Dental Hygiene Excellence Scholarship. The scholarship, started jointly with the DH Classes of 2018 and 2019, will be awarded to those students most in need of help with end-of-year expenses, such as testing and licensing fees, which can really add up, says Yochim. While she is interviewing for a dental hygienist position in the Bay Area, Yochim continues to be involved with the CDHA. “I’ve learned that it’s so important for people to be involved in their professional associations, whether dentists or hygienists, because it really determines the future of our profession,” she says. And she sees a future for herself in both private practice and advocacy work. For recent graduates and future dental hygiene students, the future definitely looks bright. Christina Boufis, PhD, is a freelance health and medical writer from the East Bay.